Ah - pies. Meaty snack food, convenience food and full meal in one. Since the advent of pieminister and the luxury pie revolution the likes of Pukka and the more typical pies have almost become the basics and discount versions. To me this isn't a problem - different meals require different pies. 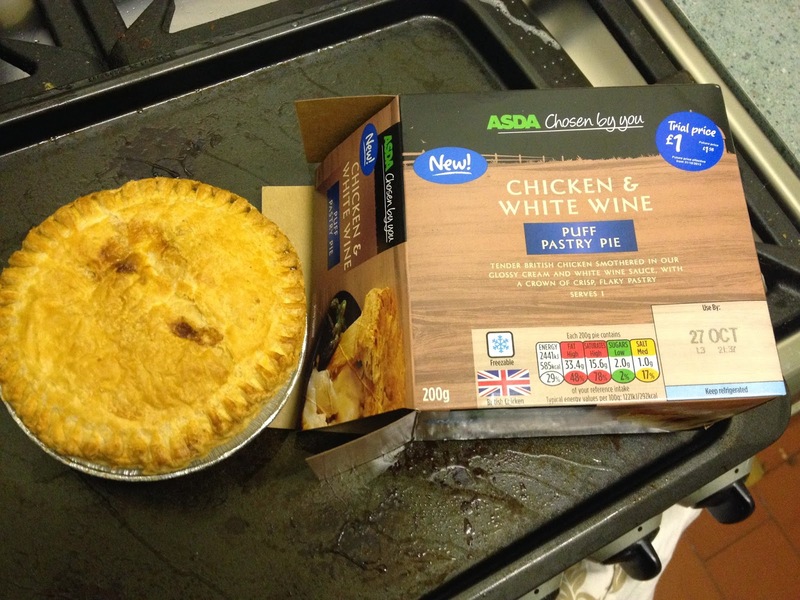 Today we are looking at Asda's new additions to their ordinary pie range, under the Chosen By You range banner. We have Chicken & White WIne and Chicken Curry varieties - both of which were £1, which is a bargain and about a third of the Pieminister price. First up we have the Chicken & White WIne. I'm not a fan of wine, but I understand the tang it can add to sauces and was interestd to try this. Turns out its a fairly creamy white sauce, not too strong in flavour but certainy plesant enough. It's a meal size pie and contains decent cuts of chicken. For a pound this is a good choice. This however is a little non-descript in it's flavour, but still rather enjoyable. It's not too spicy, but does have a bit of heat in there. The meat inside is all a bit shreaded but gives it a great texture and its overall a nice pie. I think I'd like to try Pukka's take on this as my lack of experience means this was probably a bit more of a novelty than it should have been. I'll probably add both of these to the trolly in future trips, they aren't as 'basic' as I'd feared at the price. I may add a few oven chips on the side to take them into the status of a full meal. Asda do have some great pies!